Now it’s time to use those participles in a sentence! 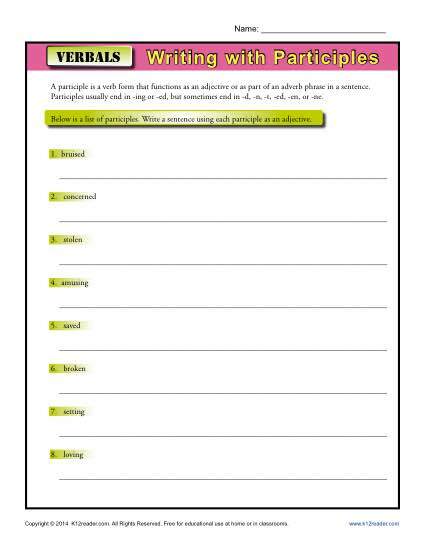 In this worksheet your student is given a participle and asked to create a sentence using it correctly. It’s compatible with Common Core Standards for Language for 8th grade. It may also be useful for other students.